LOS ANGELES — Six days ago, things looked bleak for the Trojans. They were coming off back-to-back losses to the Oregon schools and were at the bottom of the Pac-12 standings. Today, after a thrilling win over Arizona State, they stand second in the conference and with all the momentum in the world. Andy Enfield, who was visibly more emotional than usual about the win, shared why he was so animated after the game. The first half was largely a struggle as neither team could quite seize the momentum of the game. Arizona State grabbed the early lead before a trio of threes from Shaqquan Aaron and Jonah Matthews forced a timeout. Shortly after, ASU grabbed a 29-27 lead back of an 11-6 run capped off by Kevin Porter Jr. being called for his third personal foul with 3:12 left in the first half. Porter Jr. never quite found his rhythm in the game and finished with zero points on 0-4 shooting. At the half, Arizona State lead USC 38-35. They were led by Kimani Lawrence, who had 10 points, and Romello White, who had 7 points and 3 rebounds. The Devils’ bench heavily outplayed USC’s, outscoring them 19-0 at halftime. Early on in the 2nd half, the Trojans’ defense locked in. The Sun Devils turned the ball over five times in the first few minutes and USC went on a 12-6 run that was capped off by a Derryck Thornton mid-range jumper. Coach Andy Enfield continued to mention how important defense is to the Trojans’ success after the game. Shortly after however, Arizona State came back to life. 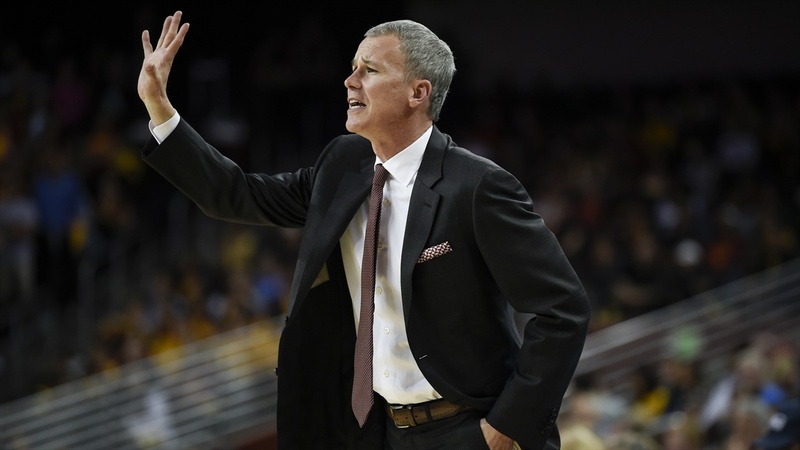 Back-to-back baskets from Zylan Cheatham brought ASU within one and forced Andy Enfield to burn a timeout and bring back Bennie Boatwright, who had 4 fouls at the time. With Boatwright and Rakocevic trying to avoid fouling out, the Sun Devils took advantage. After fighting off the Devils throughout the half, USC eventually relinquished the lead. ASU’s crafty point guard Remy Martin hit back-to-back three pointers to give ASU the 65-62 lead with 3:38 left in the game and forced USC to use its penultimate timeout. And in what could end up being the most important two-minute stretch of the season, the Trojans prevailed. Although Nick Rakocevic’s fifth foul and a pair of unsuccessful shots from Aaron and Matthews forced USC to foul, Zylan Cheatham’s missed free throw gave USC one last chance to win the game with about 20 seconds left. With no timeouts remaining and the clock winding down, Derryck Thornton hit Bennie Boatwright on the wing for the game-sealing three pointer to give USC the 69-67 lead with 10 seconds remaining. The play, which USC often runs at any stage of the game, has served the Trojans well in the past. Next week, the Trojans will travel to Seattle to take on the Washington Huskies, who sit atop the Pac-12 at 16-4 and are an undefeated 7-0 in conference play.